Came upon this guy when heading to the compost (cellphone pic only, sorry). Does anything say “summer” better than this? 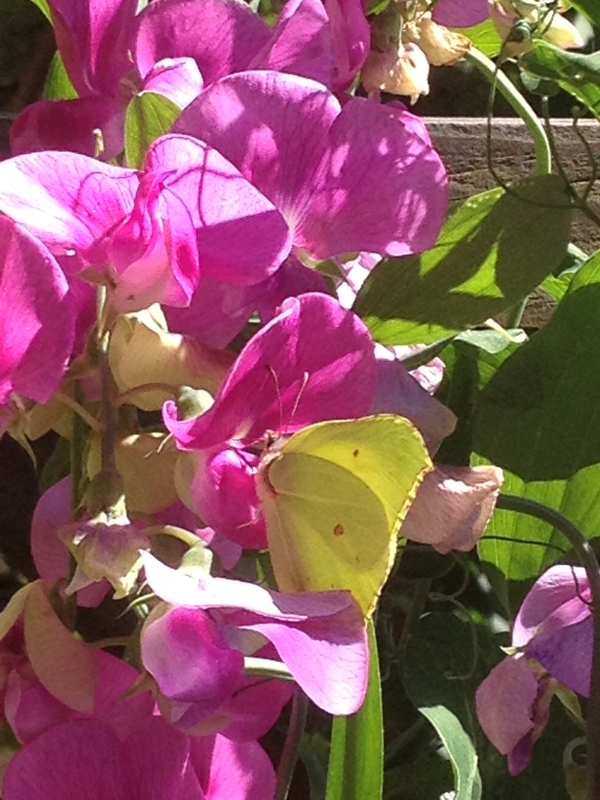 This entry was posted in Butterflies, Secret garden, Summer in the city and tagged brimstone butterfly, butterflies, sweet peas. Bookmark the permalink. Yes. Nature was making good use of her palette.